This week Kristine D’Arbelles and Julia Kent talk about crisis communications. We concentrate on a recent crisis that happened in Edmonton, Alberta in Canada. You can read the story of the pipe bomb here. 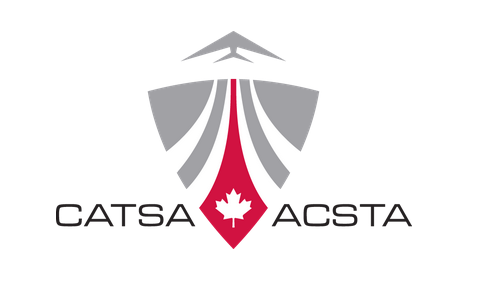 However, we are not here to judge whether or not the passenger should have been allowed to board the plane, we talk about how the Canadian Air Transport Security Authority (CATSA) reacted to the crisis. But, we don’t always want to dwell on the bad news. Young PR Pros is asking our listeners to share their stories of good examples of crisis communications. We will put together an episode in the coming weeks that highlights the positive lessons learned from organizations or individuals that handled a crisis properly. Don’t forget to share your ideas! In this episode, we also talk about journalism integrity. The media might seem like it is always out to get your company, but in reality, there are journalists out there that follow good ethics. Yes, there might be some bad apples, but so doesn’t communications. Young PR Pros wants to give a shout out to our colleagues on the other side of communications and thank them for helping us spread the good message about our organizations, for telling the fun stories that help our organizations grow. We hope that we can return the favour by always being honest and, as much as possible, available for comment. Share your ideas of good crisis communications, or share a story of how you worked well with our journalism colleagues. You can share your comments below, or on our Facebook Page, or on our Google+ page, or in our LinkedIn group, or on Pinterest, or send us an email at youngprpros@gmail.com, or send us a message on Twitter @youngprpros, @kristinedarbell or @kentjulia. This entry was posted in Young PR Pros podcast and tagged catsa, communications, crisis communications, julia kent, kristine d'arbelles, pipe bomb, pr pros, public relations, young PR professionals, young pr pros, young professionals, young pros by Kristine D'Arbelles. Bookmark the permalink.